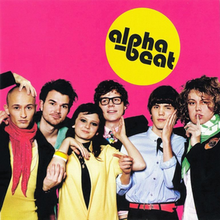 first album, but last night I ordered the Danish version of Alphabeat, the one with the red cover where you all look like you’re about 12 years old, even the one with facial hair. Best of luck with the record. Maybe if you hit Chicago, that’s pretty close, we will try to make it up for that.